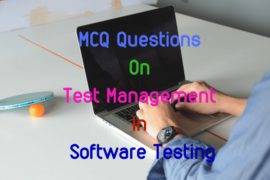 This set of MCQ questions includes objective type questions on database design along with answer of each. 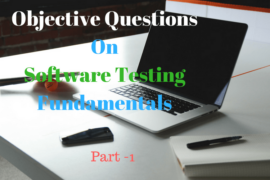 It includes MCQ questions about data integrity, entity integrity, types of entity, join and natural join. 1) What is a data integrity? A. It is the data contained in the database that is non-redundant. B. It is the data contained in the database that is accurate and consistent. C. It is the data contained in the database that is secured. D. It is the data contained in the database that is shared. 4) Which of the following relational algebraic operations is not from set theory? A. is the entire database. B. is a standard way of organizing information into accessible parts. 8) Which of the operations constitute a basic set of operations for manipulating relational data? 9) Which of the following is another name for the weak entity? 10) Which of the following is a record based logical model? 17) ……….. means multiple copies of the same data items. 18) Different values for the same data item is referred to as ……. 19) The ………. returns row after combining two tables based on common values. 20) The ………. can be used to ensure database integrity. 1) B. It is the data contained in the database that is accurate and consistent. 7) A. is the entire database.